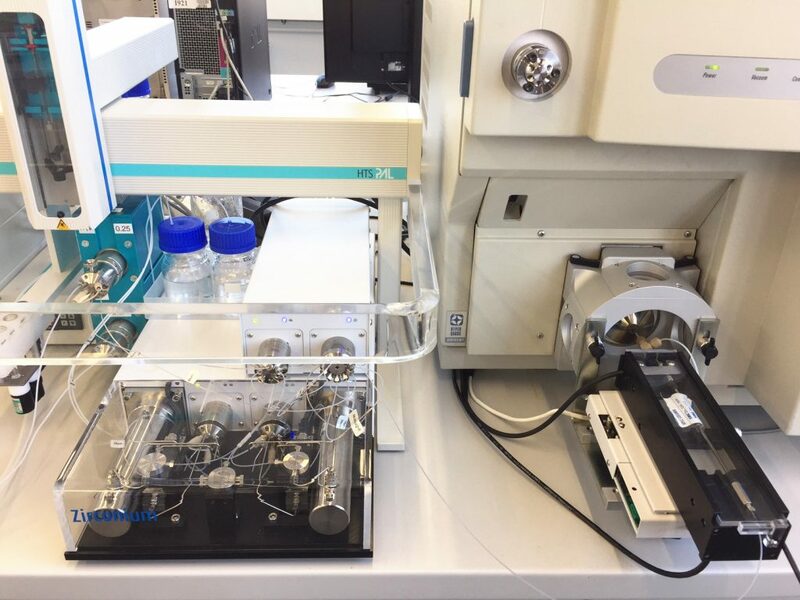 Our neighbour CRO, Swiss BioQuant, use the Zirconium pump with a new scheme for loading and analyzing samples at the same time using the same binary pump. Dead times of the MS are greatly reduced, so they save a lot of instrument time while achieving exceptional sensitivity and precision. 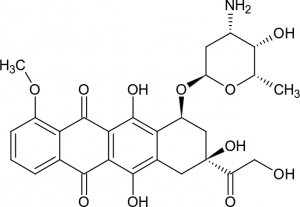 Doxorubicin, sold under the trade names Adriamycin among others, is a chemotherapy medication used to treat cancer. This includes breast cancer, bladder cancer, Kaposi’s sarcoma, lymphoma, and acute lymphocytic leukemia. It is often used together with other chemotherapy agents. Doxorubicin is given by injection into a vein. The setup includes a novel technique (patent pending) of using a pump to serve a secondary flow path for each eluent. 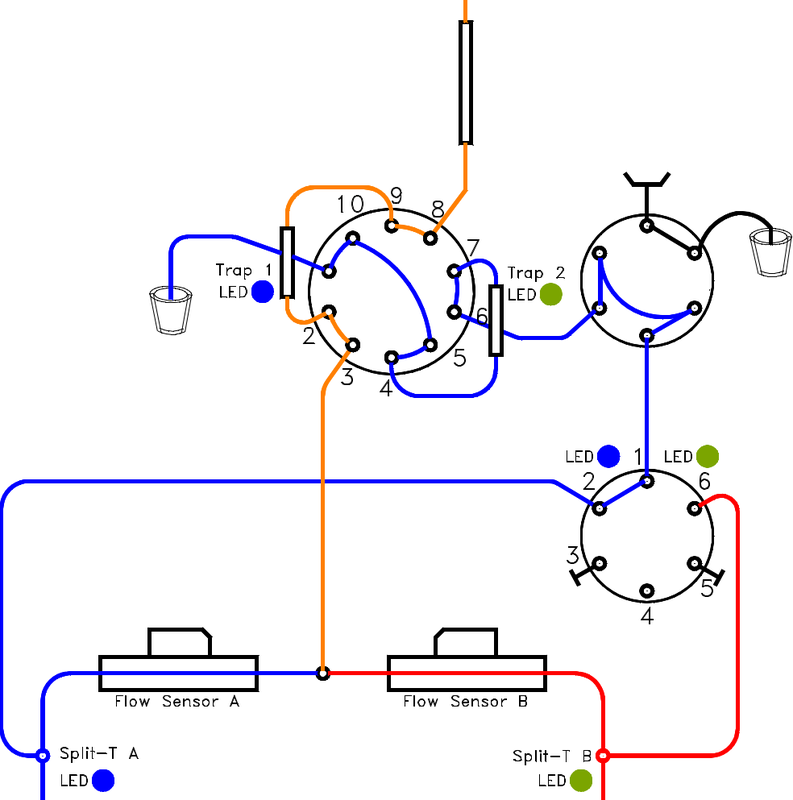 An external switch valve controls a split channel for each pump channel, which will not change the gradient on the analytical column thanks to the closed-loop flow control mode using a flow sensor for each channel right before mixing the eluents. 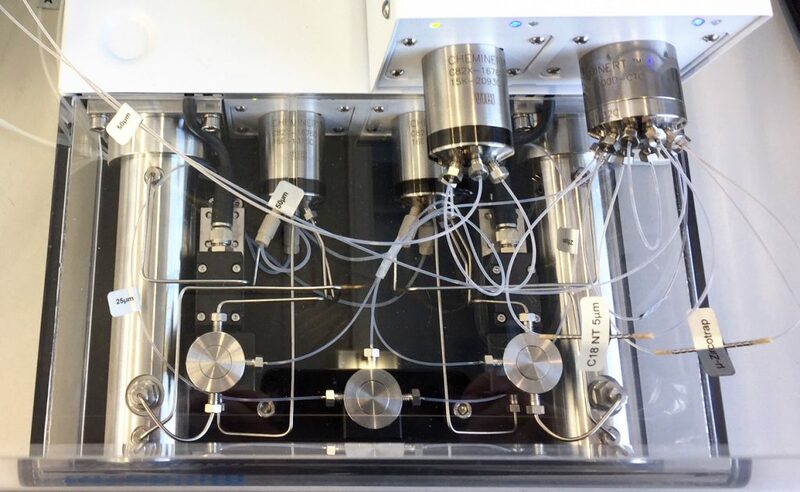 The split flow is used to load the sample from the injector loop to the trapping column with the same pressure as the analytical flow. Its pressure and flow rate are determined by a restrictor capillary between the 10-port valve and waste. In addition to the time savings of parallel loading and analyzing using two trapping columns, a big advantage is that switching the loaded trapping column in line with the analytical column does not produce a pressure drop, because the trapping column was already loaded under the same pressure. The ZircoFit capillary fitting system was used for all small-ID connections of the setup. No separate loading pump required! 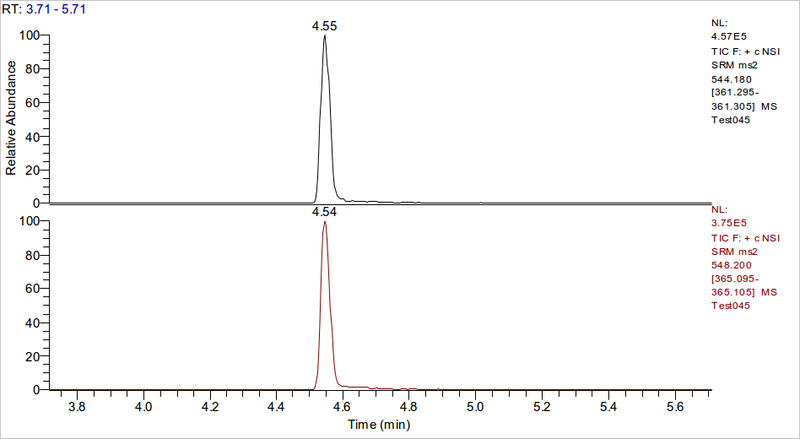 Chromatogram (complete). Click on picture for higher resolution. 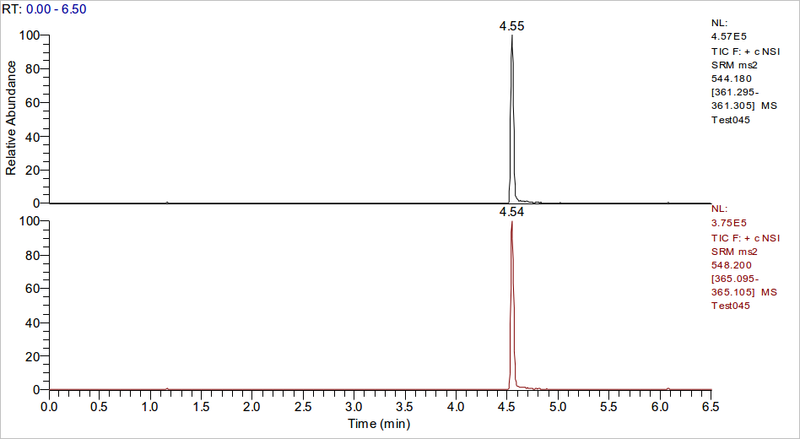 Chromatogram – zoomed time scale. Click on picture for higher resolution. The known precision of Zirconium gradients combined with optimized sample throughput is a very advantageous solution for this customer.